Children just love helping in the garden and here is the perfect way to involve them in your gardening activities. This outdoor activity shows that necessity truly is the mother of invention - you will never need to lug a heavy watering can around again. 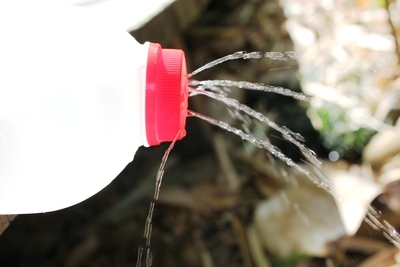 You can create this unbelievably simple watering can together and I assure you, they will not put it down for hours. 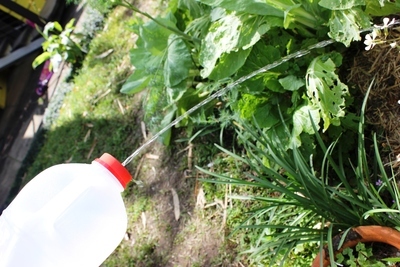 Not only is this the world's cheapest watering can, it is a brilliant way to teach children about recycling and caring for the vegetables at the same time. This is also such a great way to water indoor plants, without making a mess everywhere. 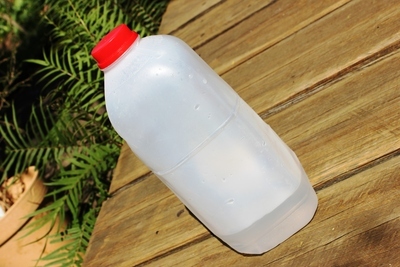 Once you've sourced a plastic container with a tightly sealed lid, you can clean it out well and leave the lid off. You now have two options for making the holes in the lid, depending on how much water you want to pour around the garden. 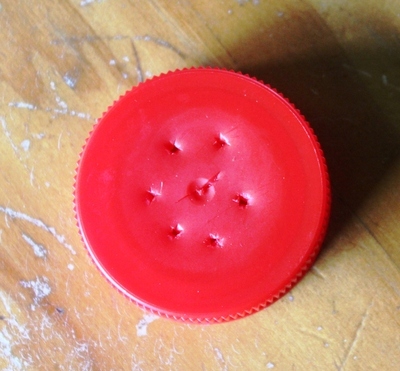 Make a hole right in the middle of the lid with a sharp knife. This will create a single stream of water for watering seedlings or delicate plants in the garden. 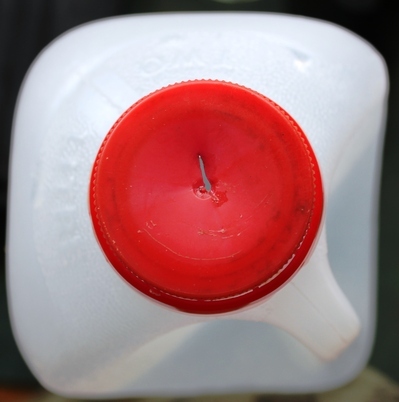 Fill the plastic container with water, attach the single hole lid, then head for the garden or your nearest indoor pot plant. Another option is to pierce the lid with multiple holes to create a gentle waterfall effect. 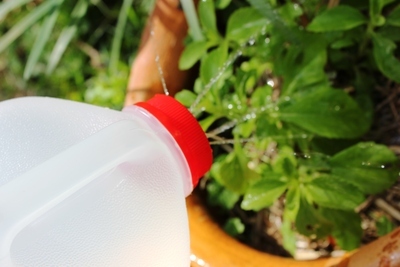 Once again, fill the container with water, attach the lid and head for the garden. Young kids will really enjoy sprinkling this one around the place on a hot summer day. You could have several different lid options handy and change them over depending on the plant situation. So why not start recycling and have some watery fun? You're welcome - let the recycling revolution begin and happy gardening.